Linux Respin is a fork of the now discontinued Remastersys. Years ago, Remastersys used to be one of the most popular tools to create your own Linux distro and/or a backup of your OS. Linux Respin doesn’t offer as much as Remastersys used to, but still it does a great job if you are using a distro it’s available for. 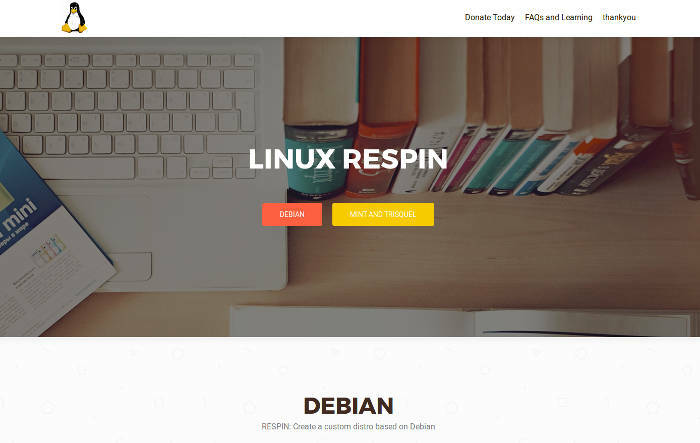 Linux Respin is available for Debian, Mint and Trisquel only, which kind of limits its popularity. What I don’t like about this tool is its almost nonexistent documentation. 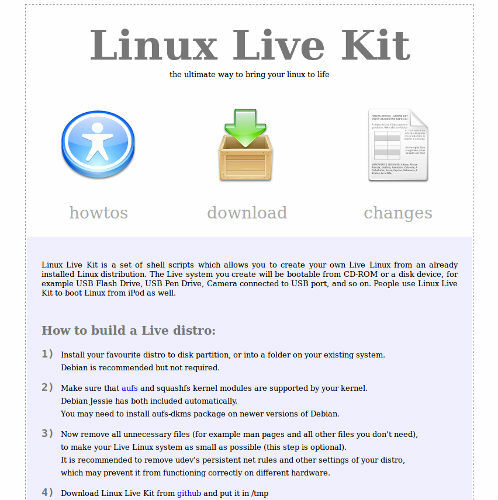 Linux Live Kit is another tool you can use to create your own distro or back up your system. It prefers Debian but fortunately can be run on other distros as well, provided it supports aufs and squashfs kernel modules. Linux Live Kit has a very short and sweet wizard on how to build a distro – just follow the steps and you are done. 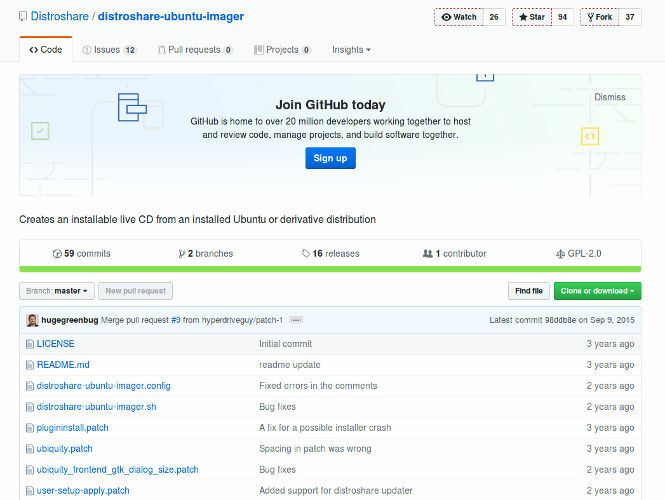 Ubuntu Imager is a good tool to create your own Ubuntu-based distro. It’s not the only such app for Ubuntu, but since it’s a good one, I chose to mention it on this list. I am not going to review it in detail because we already have a very detailed howto with instructions about installation and operation, so if you want to run it, just check the article in the link. If you want to have absolute control on what is included in your distro and you have lots of free time, you can have a look at the Linux from Scratch project. LFS has very extensive documentation and is a great learning resource about Linux in general, not just how to create your own distro. 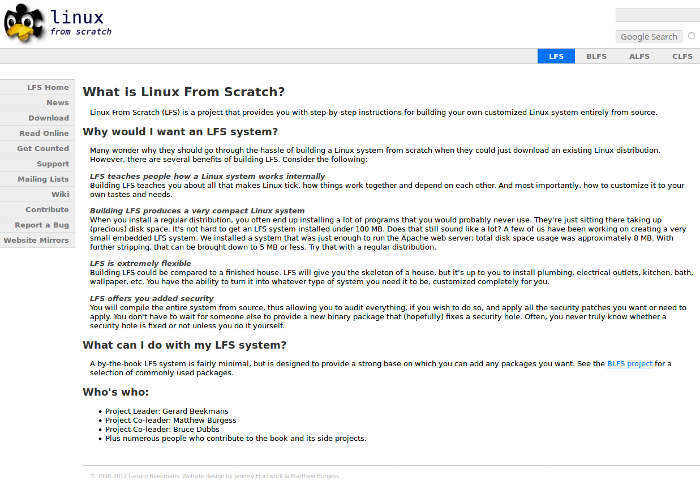 Linux from Scratch allows you to build your own customized Linux system entirely from source code. LFS is not exactly a tool, like the rest on this list, but you can still use it for the same purpose – to create your own Linux distro (and to learn a lot about Linux as a whole). 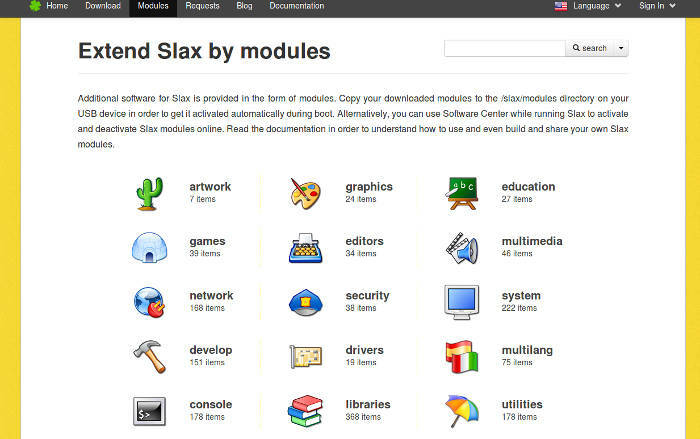 If you are looking for an easy-to-use tool and you like Slax – a lightweight distro based on Slackware, you are lucky because they have an online tool you can use to pick the modules you would like included in your distro. I’ve used this tool in the past numerous times when I wanted to create a lightweight live system for friends of mine, and it works like a charm. Browse through the categories of software and pick the apps you want. Add them to the build. Don’t worry if you miss a thing or two, as you can always add more apps after you build and run it. 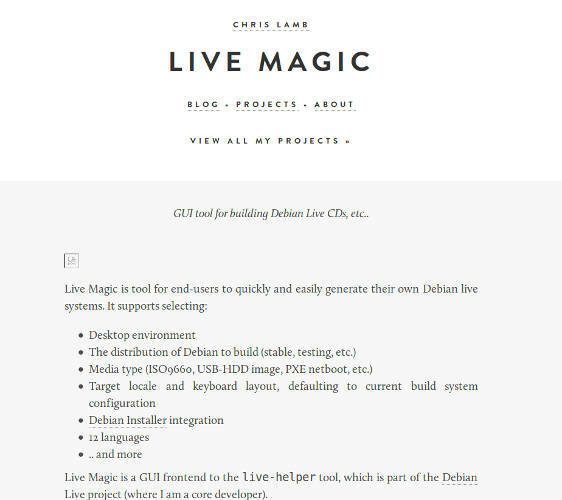 Live Magic is one more Debian tool for distro creation. It can create CDs, USBs, and netboot images. It’s much simpler to use than some of the other apps on this list, such as Remastersys, but it does not use your running system to build the image. Instead, follow a wizard and choose your configuration options as you go. The program will pull the packages from your repositories and install them into your image. The really interesting thing about Instalinux is that it allows you to create an ISO image online. On the website you can choose which distribution to base it on (e.g. CentOS, Debian, Fedora, Mint, OpenSUSE, Scientific, and Ubuntu), and which version of the selected distro, as well as the packages. 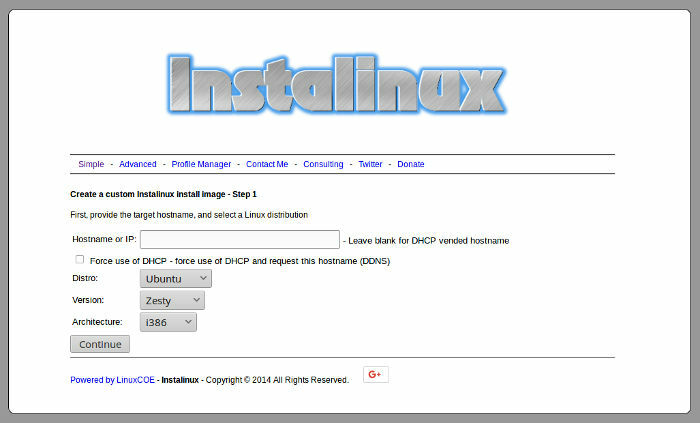 Instalinux creates a small bootable ISO (approx. 30mb) which, when booted, will begin the install and fetch the other packages from the Internet. This may be the most versatile tool on the list, and the web interface makes it extremely simple to use. It won’t, however, provide you with a full live desktop environment. 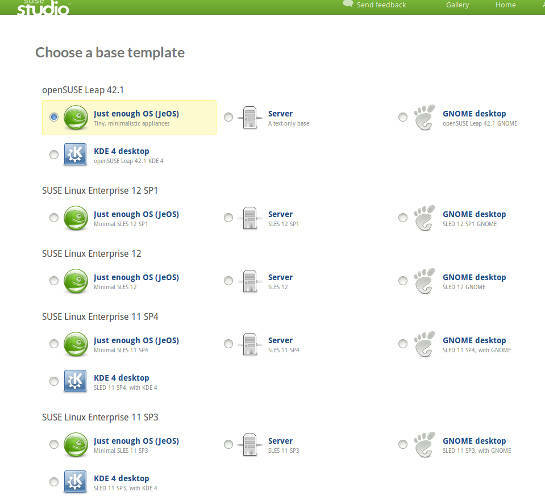 For SUSE users the best choice is SUSE Studio. Somewhat similar to Instalinux, SUSE studio allows you to use a web interface to create a custom distribution or “appliance.” It tops the charts in supported media by including output for CD, DVD, USB stick, hard drive, VMware, VirtualBox, and Xen. In order to use it, you need to open an account – this is simple because it uses Single Sign On, and you can quickly get in with your Google, Facebook, etc. account. You can choose which version of SUSE to use as a basis, if you want the server version or not, and which desktop to include in the build. ← How to separate various components of your browsing?